Written by Dezza 12 January 2018. This week, we will look at the last Deztiki Tour for the first series. This was actually the only Deztiki Tour for 2017 and some wondered if there would ever be another Deztiki Tour? As a result of a lot of overseas travel, I didn’t have the time to organize day trips with friends. However, there was one day trip we did that was quite unique. 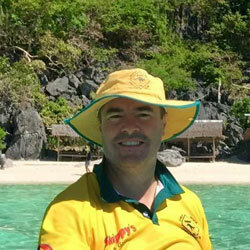 For those that know me and have been following my blog, you would know that I am the co-founder of Aussie Rules Football in the Philippines and the Philippine Australian Football League (PAFL). 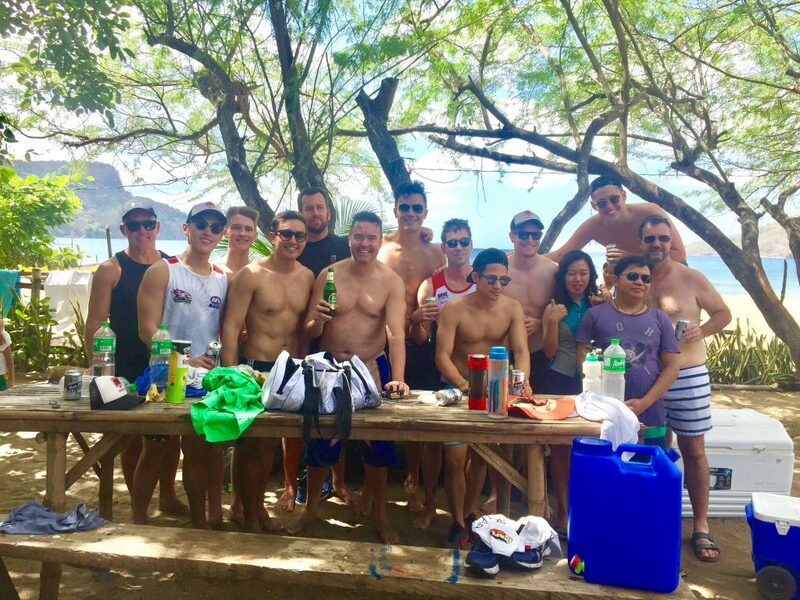 As part of our pre-season fitness campaign, I suggested to the lads that we go to one of my favourite beaches close to Manila, Calayo in Batangas. This is one of the nearest getaways from Manila that was appropriate for what we wanted. Calayo beach is located in the first class municipality of Nasugbu, Batangas, Philippines. This place is near Maya Maya and is a quick getaway that a mate and I stumbled across out of the blue a few months earlier. 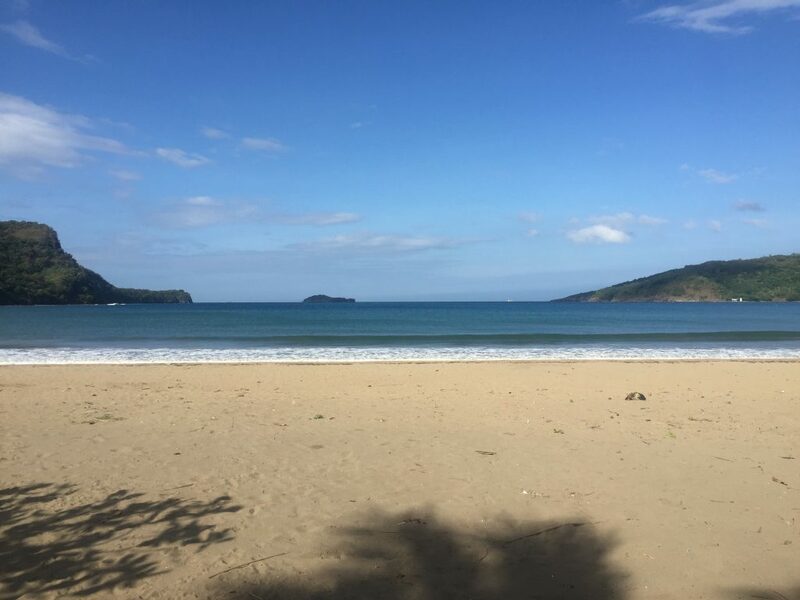 While not as pristine as Calatagan and other beaches in Batangas, it is certainly one of the best beaches near Metro Manila. It is a typical local beach with one difference – hardly any people! This is a real hidden gem. It still boggles my mind how after all these years of living here, I can still find beautiful secluded beaches like this. Especially one of this size. It was time to take advantage with the boys. This is one of the best beaches I have been to that is close to Manila. The sand and water are nice and clean. Our local football season usually starts mid-April. Therefore, from about February onward, we start doing some pre-season training. This helps us to try and blow the cobwebs off from the festive season. As part of a team bonding exercise, we headed down to Calayo Batangas. Having been down there before, I know that the sand is very good for running. This was going to be one of the more unique training sessions we had done. Although the sand is not quite golden or white, it is surprisingly clean and free from rocks and seaweed and other debris that is usually washed up with the tide. Aside from the beach, the water is also excellent. There are no rocks or coral so you don’t even need to wear any foot protection. There are some really nice waves, sometimes up to a metre high, that roll in on a consistent basis in nice sets. So for our pre-season training run, we had approximately a dozen guys turn up. We departed Manila at about 7 a.m. in a few cars and arrived in Calayo at around about 9 a.m. It was still relatively cool when we got there. However, there were blue skies all around and it was inevitable that it was going to get very hot. I won’t bore you with the training drills that we went through but I can tell you that it went for close to 3 hours. Training in the sand definitely takes more out of you. By the time we finished, it was close to midday and it was starting to get very hot. By that stage, we had worked up a good thirst and appetite. A relaxing afternoon chilling beachside at Ate Minda’s place. Some of the locals thought we were famous so insisted on a photo with us. We had previously arranged earlier in the day to stay in a private area on the beach courtesy of Ate Minda. After our training, we went back to her place right on the beach and she looked after us. She was able to offer us fresh tuna, squid and kilawin tanigue which she prepared for us. Luckily we were able to organize some beverages. This allowed us to spend the rest of the afternoon relaxing under the palm trees while overlooking the beautiful sand and blue ocean. 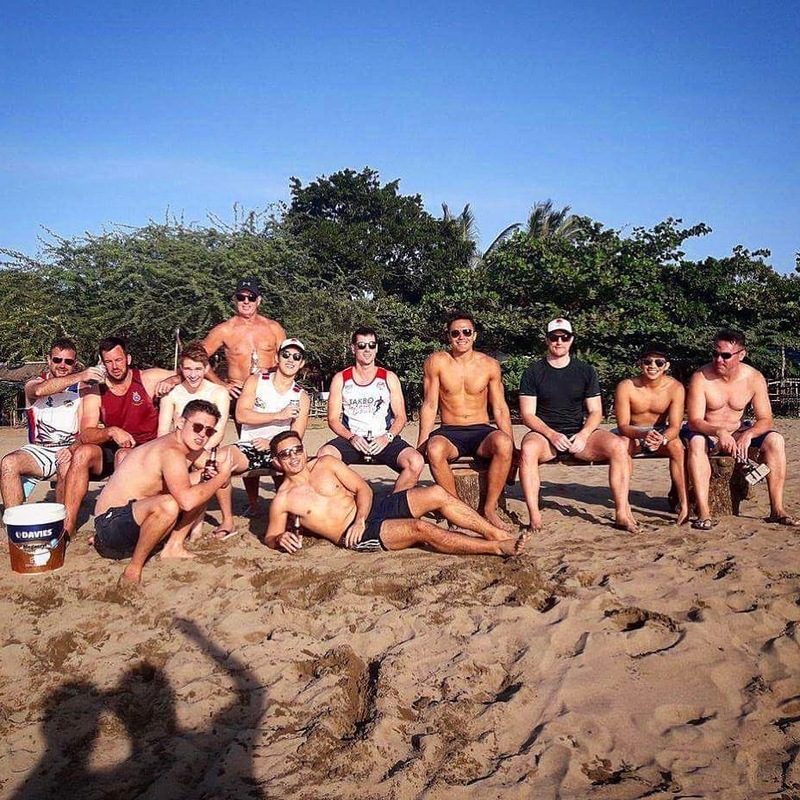 It was a great way for us to plot a strategy to win the 2017 Asian Championships of Aussie Rules Football. The boys preparing for the sunset to cap off a fantastic day. As the sun began to kiss the horizon we were able to take some improvised seating and sit on the beach. With the water lapping up against our feet, we were able to enjoy the sunset with a few more beverages. Most of the guys couldn’t believe that we were only 2 hours away from Manila. Yet here we were enjoying such beautiful and peaceful scenery. After a few hours of vigorous training and a relaxing afternoon in the water, watching the sunset was the perfect ending to a great day. Other than our experience, there isn’t too much to write about Calayo Batangas as there really isn’t much to do there aside from chill in a hammock with some beer or go island hopping. This place is well worth even just a day visit from Manila just for the chill factor. There is a resort about 100 metres away from the beach owned by an Italian guy. I haven’t been inside or eaten there but it looks ok from the outside. I will check it out one day. We were blessed with a cracking sunset to end a great day of team bonding with good mates. The beach itself is a fairly large beach, and if your intention is just to chill out for a day, then this sort of beach is perfect. Make sure you pack the esky with some food and drinks as there isn’t much food and drink options available aside from the Italian place. However, there are also a few sari-sari stores in Calayo proper with drinks and Pinoy style food options. Further to the northern end of the beach, there is a little more action as there is a fishing village there. This is close to Calayo town proper, so there are quite a few boats and some Pinoy style resorts. This is a good place to buy some fresh fish, squid and clams. Depending on which resort you are based at, they will even cook it for you. However for us, once the sun had disappeared and the beers had run out, it was time for us to head back to Manila. Once again this is just an example of how many amazing places are within a couple of hours drive from Manila. A lot of people complain about the traffic in the Philippines however, if you pick the time, and you know where you’re going, it is well worth getting out of Manila. There are so many amazing places to enjoy on the doorstep of the bustling Metro area. It doesn’t matter if you want to chill on the beach or if you want to do some vigorous hiking or if you want to explore some caves and waterfalls, there really is so much to see and do within a 100 km radius of Manila. Get out there and enjoy it. In the short time since I last went to Calayo Batangas, there have been a few changes. I’m not talking high-rise apartments but there is certainly more beachside kubos. If you hire a beachside kubo at Sandy Lum, you are able to stay overnight. The cost is about P3,000 regardless of how many people, even if you only want to stay a few hours. The size of the kubo can accommodate a dozen or so people. If you stay at Ate Minda’s, you can get a beachside hut for day hire for P2,000 good for 8-10 people. There is also Calayo Bech Resort which is a bit more suitable than most of the other accommodation options. If you wanted to go island hopping, some of the local fishermen are more than willing to oblige. On one occasion, we were able to hire a bungka boat for 4 hours for P1500. Google Maps: Calayo Beach. Calayo Batangas is located about 85kms south of Makati. 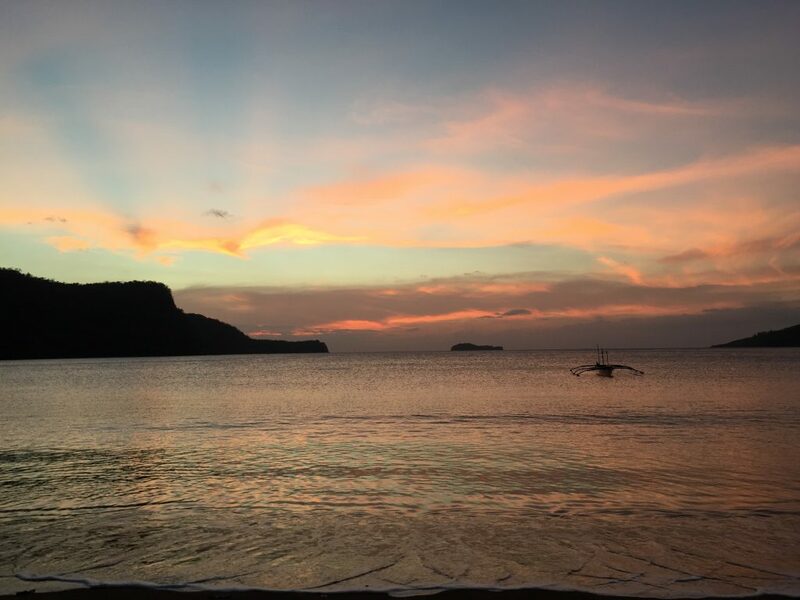 It is approximately a 2.5-hour drive via the coastal road through Cavite, with the Ternate-Nasugbu Highway offering some great coastal scenery. Several bus services are available, but from Buendia JAM Bus Terminal in Pasay. Just take a bus bound for Nasugbu which goes via Tagaytay. This will drop you off in Nasugbu Town Proper. Cost one way should be less than P200. From there, if going to Calayo Batangas, it’s about 15kms. You will need to take a jeepney or tricycle which will take about 30 mins and cost less P100. Although Calayo is perfect for a day trip, to make it worthwhile, it is worth spending the weekend in any of the places around Nasugbu. You could visit Calayo either by road or water as part of an island hopping adventure. Just remember to pack the esky with food and drinks. Here are more Batangas recommendations.